The Mid-Week Beat: Goblin & Horror Rock! In honor of the scariest month of the year, today’s Mid-Week Beat is focused on a band who is best known for their chilling soundtracks to some of the most iconic horror films. The Italian prog-rock band Goblin formed in the early 1970s. They were orignially named Oliver until Cinevox, their record label, changed their name to Cherry Five. The band was influenced by the prog-rock titans of the time: Genesis, Yes and King Crimson. However, Cherry Five had their own strange and cinematic sound and Cinevox mostly published film soundtracks, so the band was often called upon to perform and arrange various composer’s soundtrack compositions. This made the group very familiar with the musical techniques that were unique to soundtrack work. In 1975, the band was called in as a replacement for composer Giorgio Gaslini for the film Profondo Rosso (Deep Red) after he had a conflict with the film’s director Dario Argento. They changed their name to Goblin in an effort to differentiate themselves from Cherry Five, who had just released their debut LP. 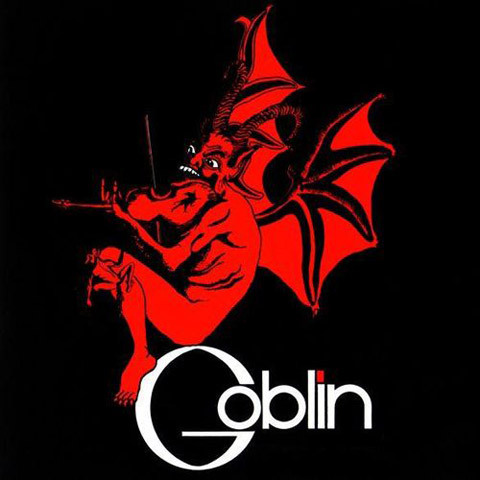 The Argento soundtrack albums ended up being huge hits, selling more than a millions copies, and from then on, Goblin’s music would forever more be associated with Argento’s films. The success of the Profondo Rosso soundtrack kicked off the most prolific and successful period for the band and they would go on to provide the scores to many horror classics including Suspiria, Zombi and the European release of George Romero’s Dawn of the Dead. This prolific period ended in 1978 when the band began to splinter. What remained of the original group continued to provide sountracks to Argento’s films including Tenebrae in 1982 and Non ho sonno (Sleepless) in 2000. Tags: American Cinematheque, BackToTheGoblin-2005, Benjamin Ickies, Calabrese, Dario Argento, Dawn of the Dead, Duane Park, Egyptian Theatre, Fangoria, Goblin, horror, horror rock, Killer Klowns from Outer Space, MilitiaA., music, Non ho sonno (Sleepless), Oculus Outre, Peepshow Menagerie, Profondo Rosso, Shocktoberfest 14: Jack the Ripper, Suspiria, Tenebrae, The Big Bad, The Chiodo Bros, The Dickies, The Empty Glass, The Killer Klown Karnival, Thrillpeddlers, Zombi.